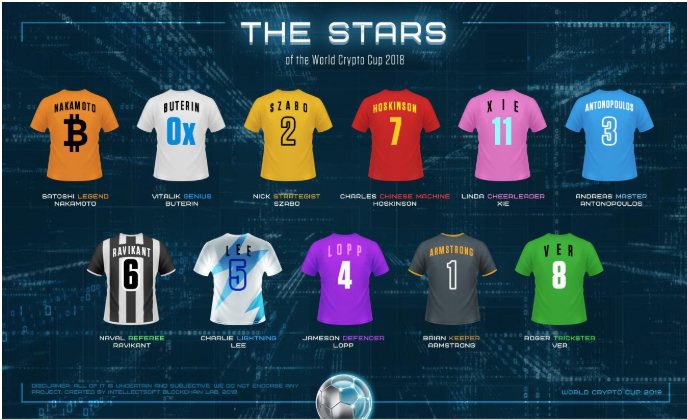 Football is about to leave our news feed (thank god) but we at Intellectsoft Blockchain Lab decided to fantasize a bit: what if there was a World Crypto Cup? Well, these would be the key players. Meet the stars of the WCC. “B” is for Bitcoin, Blockchain, and simply Best. Nakamoto’s Bitcoin is the World champion, the title one cannot take back. Just like the British brought the ball game from the Latin nations and transformed it to football, Satoshi stood on the shoulders of the Atlases in cryptography, economics, and computer science paving the path to the new Internet. This Legend is the spirit and a ghost coach of the World Crypto Cup. 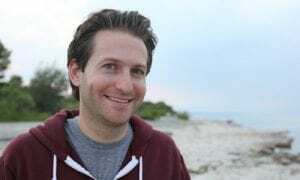 Meet the man behind Ethereum. Taken that Ethereum platform with its Virtual Machine became the second generation blockchain and the first to implement smart contracts, we did not hesitate to give Buterin a “Genius” jersey. Nick Szabo is a computer scientist and cryptographer known for his scholarly research in digital contracts and digital currency. Some call him the real Satoshi but he meekly denies it. If Szabo played soccer, he would develop a strategy for the game. Founder of Cardano, Charles Hoskinson is another notable player of the WCC. He is the CEO at blockchain development firm “Input Output” based in Hong Kong, and can’t stop delivering blockchain solutions for the maturing crypto market. If you have never heard about Mr. Antonopoulos, you are totally new to cryptocurrencies. Andreas could be a Brand Adviser of Bitcoin if there was such a position. He truly believes in blockchain revolution and invites you to go deeper for exciting knowledge: watch his videos, read books and articles, listen to podcasts or at a conference somewhere around the world. Patient and wise, Naval could be elected as crypto’s Solomon. He has been an entrepreneur and investor for many years, and then he plunged into blockchain. Fear not, his Twitter account shares daily wisdom and poses broad philosophical questions more often than Bitcoin news, making his judgement of crypto objective and sometimes challenging. If there was a forward in the World Crypto Cup, Lee would be one. Founder of Litecoin, he has always been pushing the boundaries of this new technology embracing the experiments which would not be acceptable in the Bitcoin network. With one of the largest crypto exchanges Coinbase, he’s the gatekeeper to Crypto world. An audacious personality, Roger is a Bitcoin evangelist, equally loved and hated. He was one of the earliest investors and is remembered for giving away bitcoins so people could try it. However, after Bitcoin Cash (BCH) hardfork and the battle for the “Bitcoin” name things got trickier. Lopp keeps the crypto space free from hype and scams, frequently tweeting about technology development. Being a professional cyberpunk and blockchain engineer, he also offers an extensive list of resources on cryptocurrencies. Did you enjoy? Agree or disagree? Comment below and share with friends. After all, you are the 12th player without whom this Championship wouldn’t exist. About author: Nick Kurat is a Director of Intellectsoft Blockchain Lab.